Next month the first film of Philip Pullman's His Dark Materials trilogy is releases, and already campaigns against it are gaining momentum on Facebook. 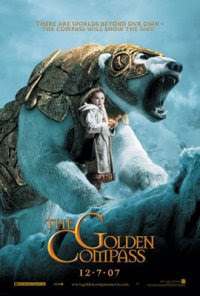 Facebook has become one of the focal points in the campaign against the film, and the largest group - Do NOT Support The Golden Compass - has doubled in members in the last week, now standing at 40,000 strong. crucial that we get the word out to warn people to avoid this movie." 40,000 is a strong level of support for a movement on Facebook, and this will no doubt grow significantly as the release date approaches. Facebook doesn't allow users to see where group members are from en masse, but I'm guessing that most are Americans. Expect a lot more fuss, and some organised protests from this group in the month to come.